We’ve finally taken all the guesswork out of bog and wetland construction. 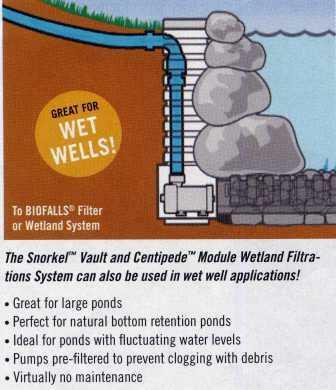 Our constructed wetland filters - the Snorkel™ Vault and Centipede™ Module - are modular in design. They allow builders the flexibility to expand the system to meet their project’s needs. 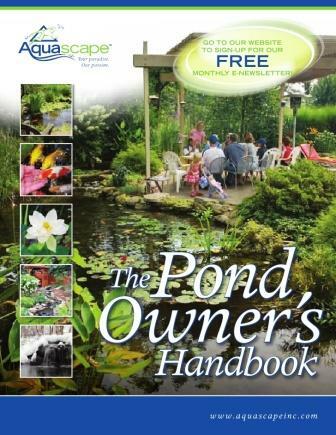 Add a professional grade large pond aeration system to increase water quality and complete the system. This is, by far, the most effective way to filter large water features. 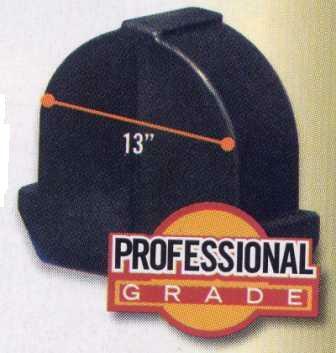 Simply plug the pond size into the chart below for all of your products. 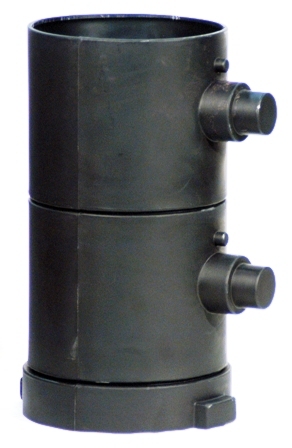 One of the most effective systems for filtering large bodies of water. Modular by design, able expand the system to meet project requirements. 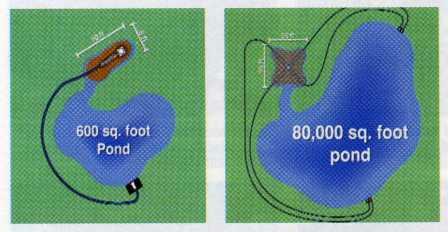 Ideal for retention pond construction and restoration. Strips out suspended solids and improves water clarity. 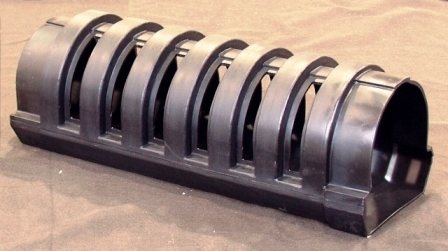 Snorkel clean-out vault allows for easy sediment removal, reducing the need for costly and invasive dredging. The Snorkel Vault and Centipede Module Wetland Filtrations System can also be used in wet well application as well! TJB-INC has used this combination many times to add interest and movement to static bodies of water. The skimming motion that the wet-well provides is a great way to clean a body of water of unsightly surface growth and debris. For more information on Wetland & Wet-Well Construction, CLICK HERE". 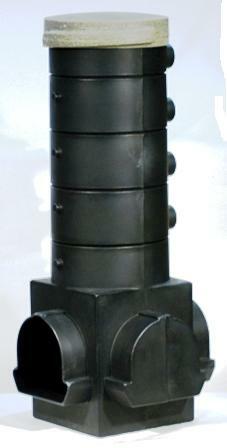 29065 For Large Pondless Waterfall, Wet Well Projects, or RanXchange Water Harvesting Systems. AquaBlox Designed to replace up to 90% of the gravel & rocks used in basin construction. Saves space & money! AquaBlox-RainXchange Designed to replace up to 90% of the gravel & rocks used in basin construction. Saves space & money!